Nat Taplin, Director of Good Journey, describes the pleasures of car-free travel and introduces a new UK scheme to welcome and reward car-free visitors. The satisfaction of doing a linear walk between bus or train stops is one of the many pleasures of a car-free day out. The adventure begins as soon as you step out of the front door. Freed from the grip of steering wheel and seatbelt, you can enjoy the view, drink a coffee, read a book, use the wifi, have a pint in a country pub and a snooze on the way home. The difference between exploring by car or by public transport is like the difference between flying around Europe or interrailing – you miss out on the sights, sounds, scents, people and atmosphere of the places you’re travelling through. It’s about enjoying the journey rather than rushing to the destination. Encased in a car, there’s always the temptation to push on somewhere else – the town looks a bit dull, you can’t find a place to park, or you get swept on through by the one-way system. Contrast that with arriving by bus – it looks unpromising, it’s raining, you’re stuck here for at least two hours, so you’re compelled to take a proper look… you get off the main street, discover a nice café, a quirky museum, a hidden cobbled alley, a view, a path, a bench, someone says hello. Suddenly the town is opening up to you, beginning to show its hidden charms, as it has done for travellers arriving on foot for centuries. Let’s face it, getting to rural destinations and attractions car-free can be a challenge. A typical attraction or B&B has copious car directions on their website and somewhere at the bottom “there’s a station at Lonetown 3 miles away, you’ll need to get a taxi from there, good luck”. As a car-free walker, you’ll know that it is in fact possible to get to all sorts of places without a car, if you can get your hands on the right information. That’s why Good Journey was born. 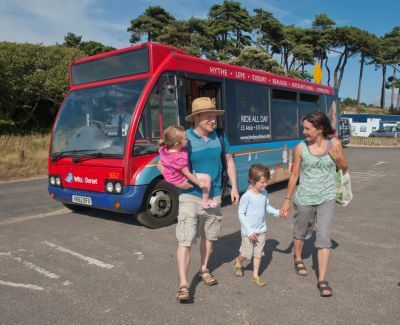 Good Journey seeks to open up access to attractions and activities – especially in the countryside – for the 25% of the population who don’t have a car and for everyone who’d like to drive less. Our new website www.goodjourney.org.uk offers easy travel information to attractions and discounts for visitors arriving car-free. Participants display the Good Journey Mark (pictured) – the new symbol that car-free visitors are welcomed and rewarded. So, the warmest of greetings to all Car Free Walks members and visitors. Congratulations for discovering the pleasure of car-free exploration and this inspired website which we are proud to team up with. 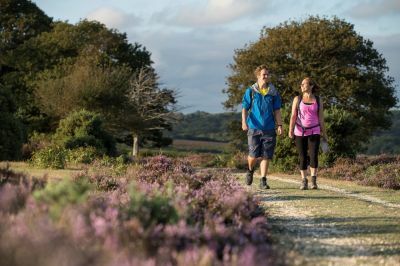 Do visit Good Journey to get ideas and inspiration for car-free adventures – many of which combine perfectly with walks listed on this site. 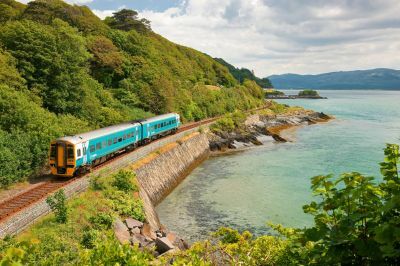 You can also sign-up for our newsletter and get a free eBook of Scenic Rail and Bus Journeys of Britain.